TravStar1 Point Of Sale SystemRegister Manual Gas TransactionsHow Do I Ring a Fuel Transaction Once It Is Complete? How Do I Ring a Fuel Transaction Once It Is Complete? This lesson will teach you how to ring a completed fuel transaction on the register. When fueling is completed the dispenser icon will display a flashing $. 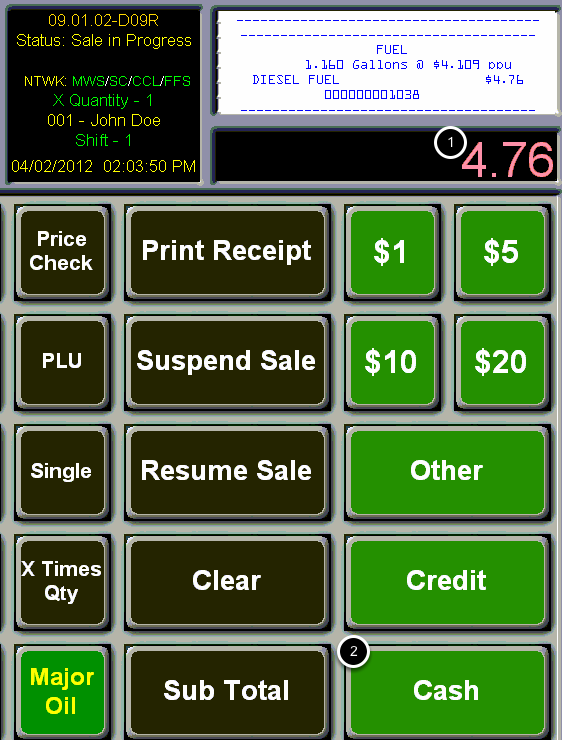 Touch the dispenser icon for the transaction that you want to ring into the register. 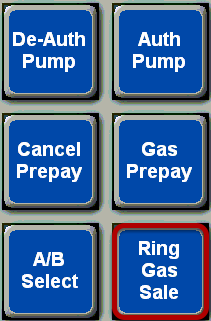 Now that you have selected the dispenser, touch the "Ring Gas Sale" button. This will bring the fuel transaction into the register as a Sale in Progress and release the dispenser for the next customer. -How Do I Charge A Transaction To A House Account? Prev: How Can I Tell If a Dispenser Is Fueling or When It Is Complete? Next: How Do I Stack an Authorization on a Dispenser?